Life is quite unpredictable. I have so much respect for those that achieved their dreams in life. Some people planned their lives from the very first day of consciousness and maturity. Amazingly events went towards that direction. Some desired to be pastors and ended up being pastors, some doctors, engineers and lawyers. Some decided their fate with business and sacrificed schooling for it but still made it big in life. The major question here is how many people really achieved their occupational dreams in life? Have you ever asked your parents what their dreams were when they were growing up? Evaluate their views and use it as a perception window to view the world. I used to have a friend that I knew for over 11 years. He studied so hard to be a lawyer and had impressive certificates. He started practicing as a lawyer with a very low pay only for an auditing firm to come knocking for him. Today, he is a fraud investigator; the dream of wearing that white wig in the court of law is gone. 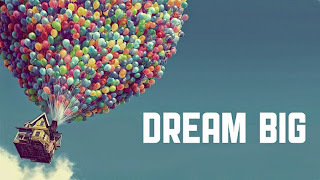 What about those who had their beautiful dreams being cut off by unfortunate events like sickness, fatal accident, death of a loved one or their sponsors or even their untimely death. Life is so dramatic. We can only propose, the final disposition lies in the hands of God. I have observed that the children of the privileged/wealthy class find life more predictable with the enabling ground as well as possibilities surrounding them. Addressing this issue from the Nigerian perspective, you will hardly find an affluent man's child going for a job hunt or probably sitting idle for a long time. Before he leaves school, he would have started living the life he painted for the future. Some of them with the luxurious of addiction to clubbing end up owning their own club houses with a topnotch bar for people to drink expensive wines. Furthermore, such a person due to his 'sexcapades' in hotels could decide to run one if the funds are available. Some of them end up being top event managers and so on. Unconsciously they develop their passion for things and tailor their lives towards that particular line. Subjectively, I think its easier to decide your destiny in a developed country compared to a place like Africa and other developing states. Taking a clue from football, Arsenal midfielder Jack Wilshere joined the Arsenal youth academy at the tender age of 9. He decided his future and today he is an important player for the English national team and so far a successful footballer. What about Fabregas that joined Barcelona FC academy at a tender age and left his home country at age 15 to join Arsenal in England? Theo Walcott, Gareth Bale and others followed suit from Southampton FC at tender ages. They decided formal education wasn't their paths from the intial stage. Even those footballers who couldn't make it to the stop ended up being professional football coaches and trainers which is still close enough. In Nigeria, it will shock you that a footballer could end up being a security man, messenger in an office as well as an armed robber like the case of a young man arrested by the men of the Special Anti-robbery Squad (SARS) in Lagos last week. A footballer in my church ended up being a top professor at the premier university in Ibadan; that's impressive anyway. A move in the progressive direction. This is my point, it’s okay to have dreams and aspirations. It gives you a sense of direction but mostly in a place like Nigeria. Those plans are just for the record. People just want to hear you say them to measure your level of brilliance and intelligent. Most of the people that succeeded today in one area probably tried their luck in several other fields till they got it right with one and today they are termed as icons and specialists. I smile when Nigerians tell me their dreams. I think the best response to that question of dreams is that you just want to be RICH. Sincerely, money is the goal; it is the final destination of all the struggles. I know a lot of Christians will say it is making heaven which I agree but this is not a religious talk. A close friend from the Igbo tribe of Nigeria once told me money is his greatest passion and not acting, dance, singing or music production which he does to make a living. That sounded weird to me until I started subscribing to his views after a deep thought. We are like fishermen in life; life is the water body, your career is the hook & line or fishing net to hunt and the fish is money which we need for survival. So in actual sense your career is just a means to an end. 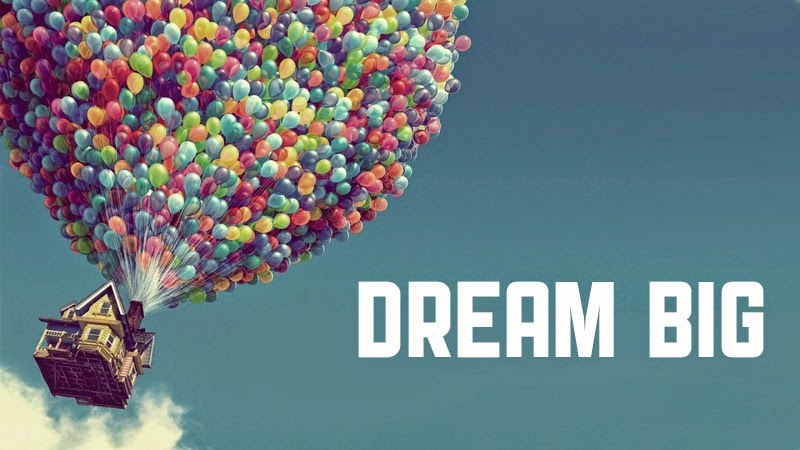 You can't eliminate the role of the society in dreams achievement. When there is no enabling ground for success or too many limitations, many weak-willed people end up being a menace to the society out of too much desperation. No girl would ever want to be a full-time or part-time prostitute. You are a part-time pr*stitute if you use your body as a weapon to fight for your interests. I believe every woman wants to protect her dignity and self-respect. No woman would want to wake up and entertain varieties of men on her as a means of survival. Commercial s*x workers have their own bitter stories to tell although there is no justification for doing the wrong things in life. What about the notorious armed robbers, hired killers, ritualists, drug traffickers and others in that class? It is never the joy of one man to take another man's life. We all have human feelings and emotions. Every man despite his display of strength or valour is weak in one aspect or the other. Weakness makes man complete because perfection doesn't exist. Most of these ill-fated people had dreams when they were growing up but things went haywire due to one circumstance or the other. Let me end this on a personal note, I have had and still have dreams that make me smile each time I remember. In my primary school days, I can remember saying I wanted to be an accountant. I came across that through my dad who was reading for a major accounting exam then. In my secondary school days I wanted to be a petroleum engineer. Later on I developed a passion for fixing minor faults in home appliances so childishly, I switched to mechanical engineering. My brief experience as a science student was an imminent disaster due to my weakness in calculations. I couldn't cope with further mathematics, physics, chemistry but I was excellent in Biology. My biology teacher due to my excellence is his subject got close to me and advised me to leave which I gladly followed against my parents' will. Then the thought of being a lawyer which is the major art course struck my mind. I had no passion for law anyway. I used it was a direction. I fell in love with movies. I admired Nigerian actors like Ramsey Noah, Jim Iyke, Hanks Anuku and Chidi Mokeme was my favourite of them all. Since we share some similar qualities, I started dreaming of acting. In my final year at the University where I studied Political science, I started listening to rap music in 2009. In September that same year, I started writing my own songs. In the year 2010, I started recording them and my dreams changed again. In 2011 after my National Youth Service Programme (NYSC), I did an evaluation on my musical career and realized people saw me as a lyrist rather than a rapper. This means I write better than I rap. Financial limitations started setting in, music is a whole lot of investment. While working as a sales representative at a departmental store, I came across the South Korean blockbuster movie 'Jumong'. This re-ignited my passion for acting. I joined a Christian drama group in Ibadan known as the 'Land Lords' in March 2012. I had a great run of events. It gave me a chance to explore my acting skills and instincts. Land Lords was suspended when our leader got a contract in South Africa never returned on time as promised. I took the hustle to Lagos which is the entertainment capital in Nigeria. My first audition was a hit. I attended several others and on the whole I shot two TV Soaps where I played prominent roles. A lot of people supported and encouraged me but the pay was discouraging. In the course of this, I modeled for my friend's proposed magazine and photo studio. I never knew I was that good-looking anyway loool. In 2013, I went for my masters in Political Science. Later in 2013, as a result of the 6-months strike by the Academic Staff Union of Nigerian Universities (ASUU) I resumed acting after my Land Lord team came back. Massive success was recorded, both home and abroad. Masters classes resumed, I went to performed with the Oracle theatre team to honour Professor Wole Soyinka's 80th birthday at the prestigious University of Ibadan theatre arts department. I almost got into Tinsel too. After my masters I settled for an unsuccessful spell as a call center agent which finally got cancelled. A month later I became an online editor which I am currently and I don't see it as my final destination. Hope my story isn't boring? A Nigerian will tell you about a definite dream today and tomorrow he will apply for 20 jobs in 20 different sectors. At the interview stage, he will definite his goals and aspirations alongside the field of the job to impress the interviewer. This is quite hilarious. Personally, with my experience as a Nigerian from the middle-class, I think the ideas of dreams and aspirations are just for the record alone. Some sort of paperwork. Thanks for joining the Village Towncrier on this one again. I am Osayimwen Osahon George.